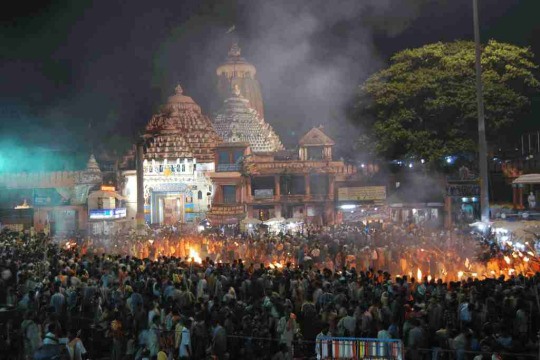 Puri witnesses a grand gathering on the day of Diwali as people observe ‘Badabadua Daka’ to pay homage to their forefather. 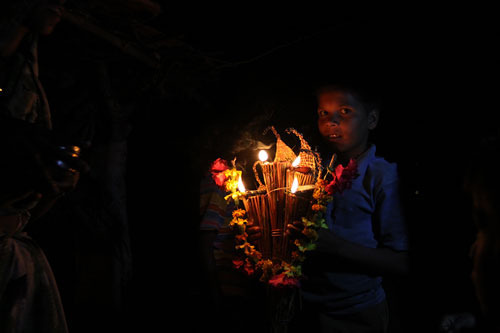 In the extraordinary ritual, people gather outside the 12th century Jagannath temple and burn jute sticks (known as Kaunriya Kathi in local parlance) to invite their ancestors to descend from heaven on the day of Diwali and bless them. They also chant a prayer ‘Badabadua Ho Andhaare Aasa, Aalua Re Jao (Ancestors, come in darkness and go back along the lighted path). With thousands of bundles of jute sticks being lighted on the day, the Grand Road in front of the Jagannath temple offers a beautiful spectacle. Along with the beautiful weather and picturesque landscape, Kumaon really plays very traditional on this Occasion. It brings the old and tribal ritual as by painting the doorstep of their houses red. They do so with Geru – the filtered red soil and rice solution to paint the outside their home . This beautiful form of art is called Aipan and is a way for the locals to welcome Goddess Lakshmi into their homes. It is famous for celebrations and apart from Christmas and New Year, Diwali celebrations in Goa is quite in fame. Apart from gambling and card playing, here the celebrations focus on the destruction of demon Narakasura who was killed by Lord Krishna. 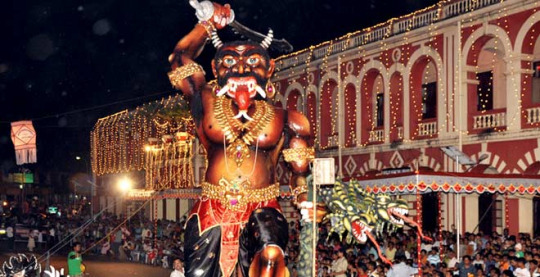 Competitions are held in every village and city, where people compete to make the biggest and scariest effigy of the demon. 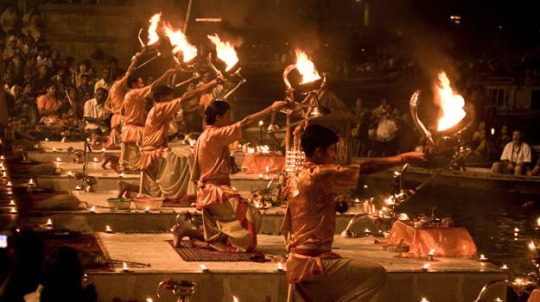 These demons are then burned on the day before Diwali (Narakchaudas).